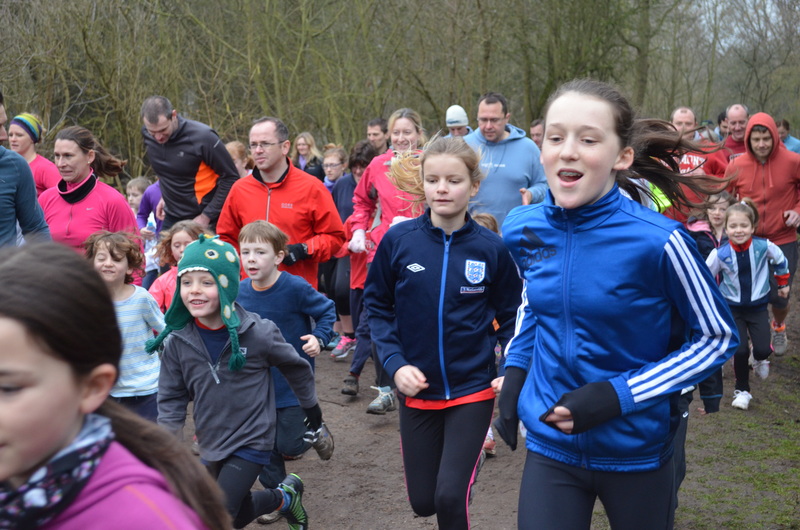 Cambridge junior parkrun yesterday morning. 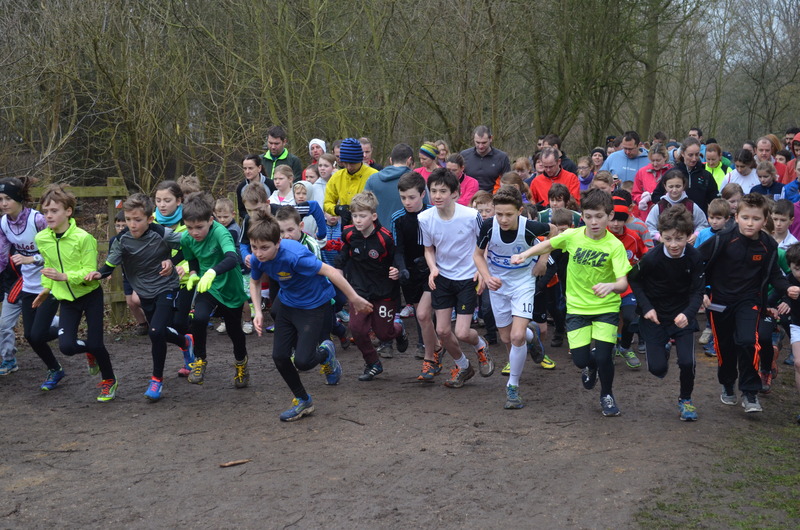 They’re off, just over a hundred of them, running in muddy conditions and loving it. I volunteered as timer but this changed to photographer (or one of them). Seems to be rather a lot of adults running with their offspring and some of them are checking their watches. Good job it’s not competitive, isn’t it? You can clearly see how enjoyable it is for the children and they are constantly cheered around the course. On Saturday we went down to East Londinium and did Valentines Park parkrun in Valentines Park on Valentines Day for their 4th anniversary. Follow? I’m standing next to Joe who is marginally taller, marginally younger and marginally faster than me. You could say I’m living on the margins! We met up with some old work pals and friends from Cambridge, ran the race, had coffee in the large park cafe and then walked to a Wetherspoons pub in Ilford for a brunch. The food was surprisingly good and inexpensive. 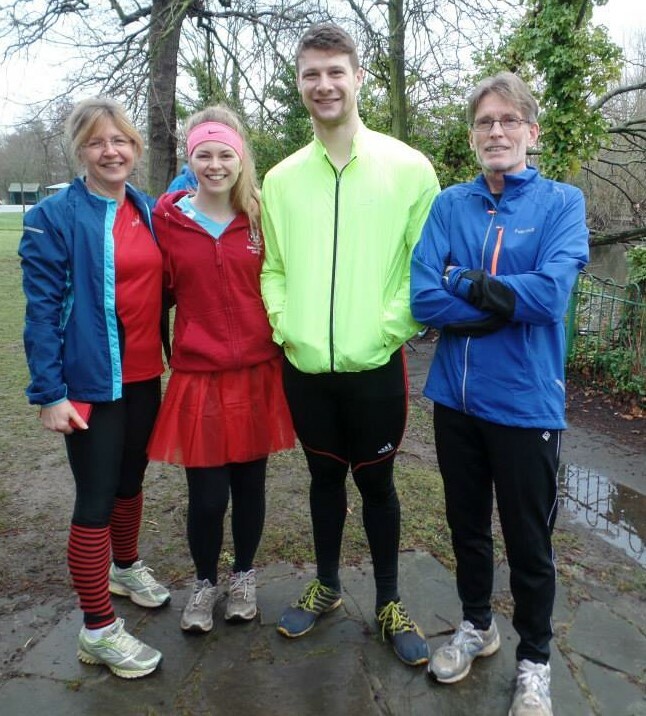 We liked Valentines parkrun. Gill (not in the picture) also runs there. She is the sister of my Cambridge ex running rival, Mike and coincidentally someone I vaguely knew at work when I lived in East London (and had yet to come across Mike). Gill is also known to three of my children who also run sporadically at Valentines. 4. Taking my cardiac medication at different times before the run (possibly). However on the longer runs I’m finding it easier. Yesterday I did 11.25 miles comfortably and didn’t feel tired afterwards. As I loped along I thought how lucky I am to be able run such a distance, run regularly and take part in races despite having had a heart attack four and a half years ago. Since I was fit before my cardiac “event”, I regained my fitness levels relatively quickly. Of course I was highly motivated, my family were completely supportive and in Cambridge, the cardiac rehabilitation service was excellent and I had received treatment very quickly. But I was surprised that the take up rate for rehabilitation was only around 44-46%. Apparently this is regarded as a high. It consisted of a series of specific talks and physical rehab in the hospital gym conducted by cardiac rehab nurses, a sports scientist, dieticians and others over a period of several months. I found it extremely helpful. Why wouldn’t you take it up unless you had your head in the sand! Ah…there’s the answer. 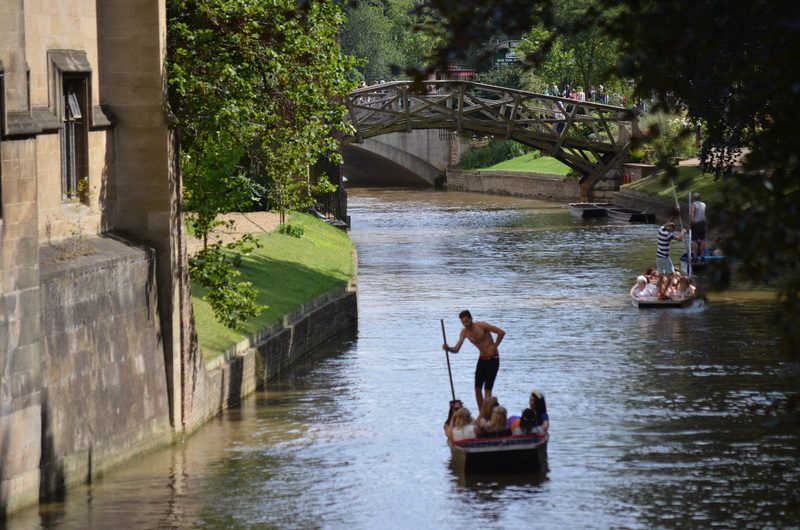 Cambridge in the summer. Please bring it on…..quickly. This entry was posted in a nice cup of coffee, Am I Being Unfair?, Cambridge bookshops, Cambridge punts, cardiac rehabilitation, difficulty accepting friends have the cheek to run faster than me, Exercise and heart disease, Heart disease, Increasing sociability, junior parkrun, parkrun, pictures of junior parkrun, Running, running by the river, running races, running with heart disease, Uncategorized and tagged Cambridge half marathon, cardiac rehabilitation, exercise, heart disorder, junior parkrun, Mathematical Bridge, parkrun, running, Valentines parkrun, volunteering at parkrun. Bookmark the permalink. ← Aliveandrunning February 12 2015 The Gloom, the Gloom! I wish I could have been running when I was their age. The next best thing is to watch them. It sounds like you are well prepared gr your half marathon. Will you be doing a taper? Only 2 weeks until it’s officially spring.! I’ve never done a planned taper, just sufficient training for me to feel OK. Since I run regularly I’m able to maintain a consistent degree of fitness and I don’t take my times too seriously. I’m thankful spring’s around the corner. Perhaps I should become a druid to better appreciate the seasons and learn to be at one with the cold and heat. Or perhaps not.